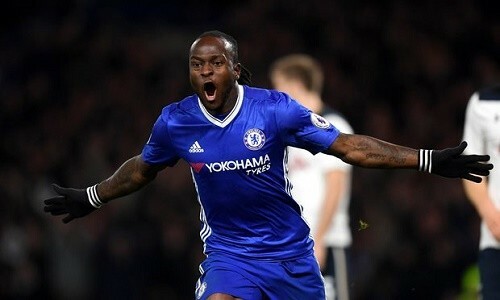 PFA Fans’ Premier League Player of the Month award for November, Victor Moses has won another award. Nigerian player and Chelsea star, Victor Moses is rising higher as he has scooped another award as he is named the English Premier League African Player of the Month of November by organisers New African Soccer. The Nigeria star edged Kenya’s Victor Wanyama from Tottenham Hotspur and fellow Nigerian Victor Anichebe of Sunderland to win a second straight award in two consecutive months; the first player to perform such a feat since the award programme started in 2014. Moses has flourished in a new wing back role under Chelsea manager Antonio Conte and has been instrumental to his team being top of the Premier League and on an eight-game winning streak.